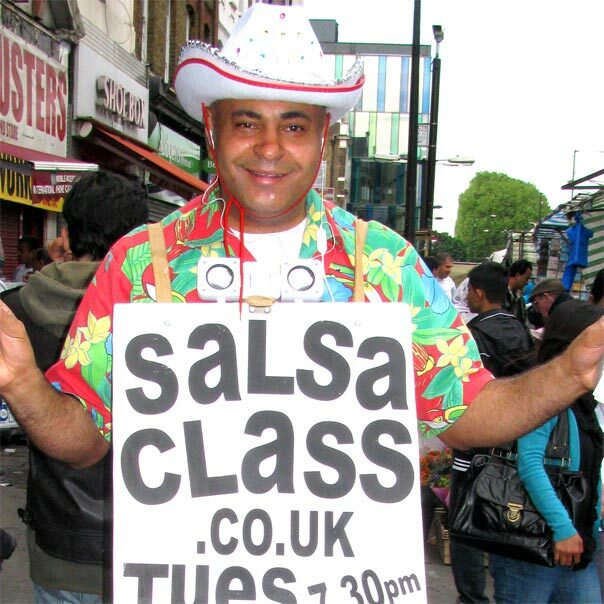 Sorry - NO Salsa Class on 1st & 8th May, back to normal after that. Friendly Crowd. 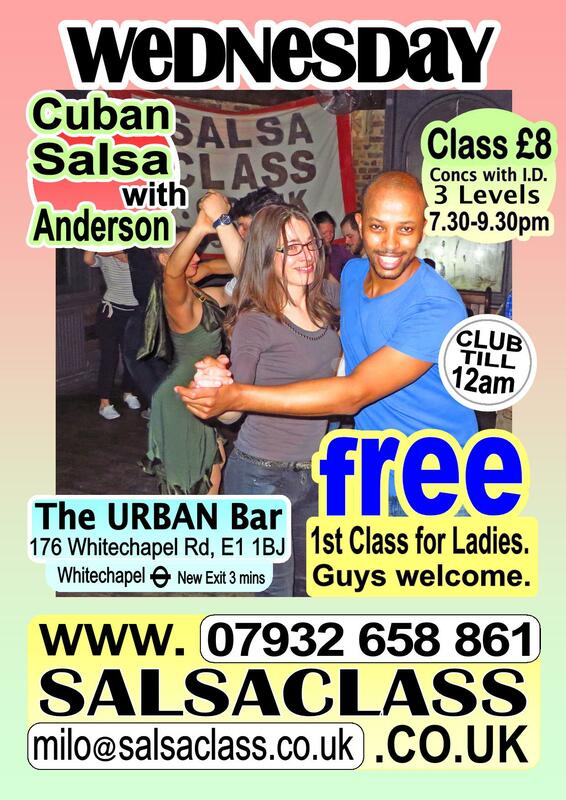 Join us for a Great Night of Cuban Salsa and Fun! 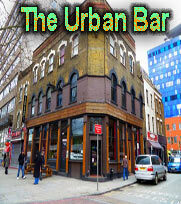 Celebrate your Special NIGHT with a SALSA PARTY..
Cuban Salsa goes to the East End of London. Check out what we have got in store for you. Experienced and friendly teachers. An emphasis on inclusion and the enjoyment of the dance. A fully aired dance space with a completely wooden floor. A chance to learn about the music. The opportunity to dance with more experienced dancers and to meet others from a variety of backgrounds. Birthdays and other important events celebrated. If you have never danced Salsa before do not worry about coming on your own. That is the beauty of the dance, you can come on your own and we guarantee you a good time. All are welcome to sample the fun and the good times. Class £8 or £7 with Concessions. 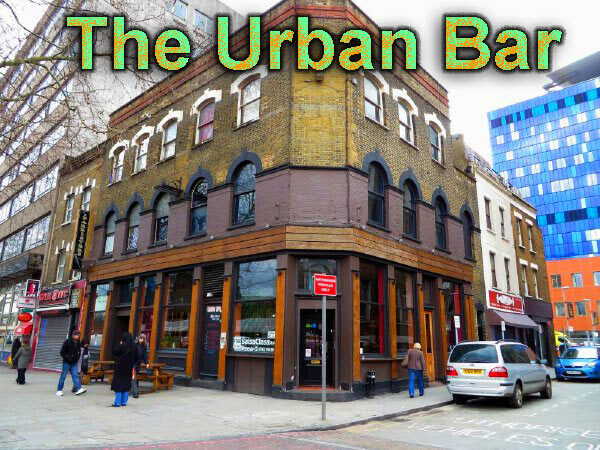 Club only £2 till Late. Class 7.30pm to 9.45pm All Levels.